The No. 101 Fine Leather Belt is crafted with Full Grain American Steerhides! This belt is one solid piece of full grain leather. We hand-pick our leather hides from a local tannery for a rustic look and feel. This is a gift that will be used and loved for a lifetime! It’s perfect for the executive, professional, father, or dear friend in your life. Gorgeous belt. The embossing is great quality. It shipped and arrived on time. Thank you! I was beyond impressed with both the speed and craftsmanship of this beautiful belt. The inscription turned out beautifully. The packaging itself was lovely and it was the perfect gift for my sweetheart. I’m so pleased with the results. My husband absolutely loved his belt! It is good quality and everything was perfect. He loves the engravings and personal message. Absolutely worth it! Thank you! 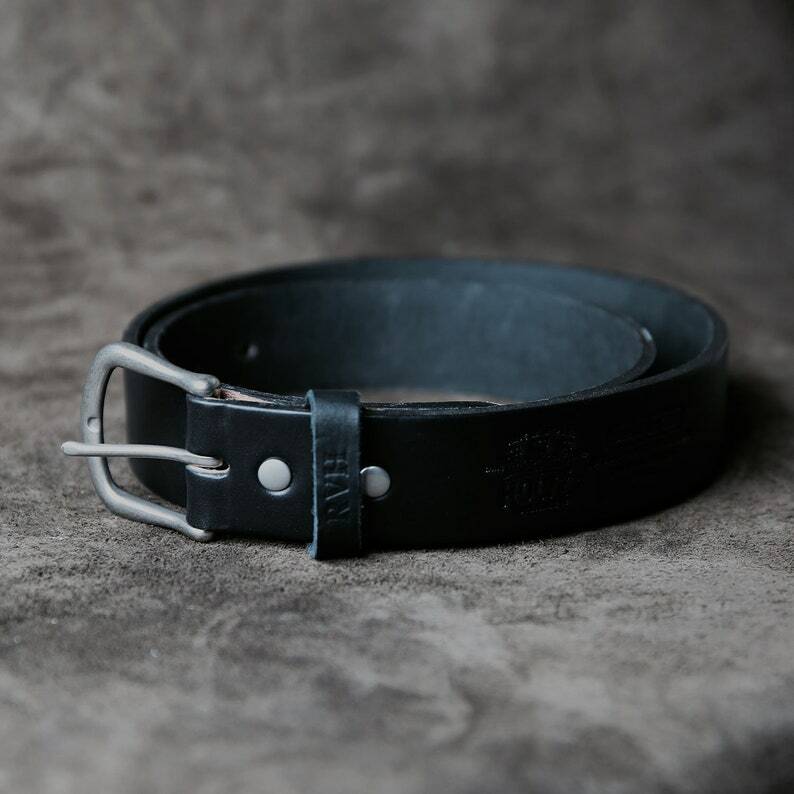 This belt is well made, sturdy and is a rich black color. My father was a saddle maker/leather worker so I have very high standards and this belt met them. The personalized message came out perfectly. It was a great high school graduation gift for my son that will last him years and years.